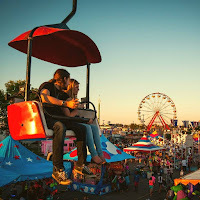 Across the nation in anytown, U.S.A, smaller fairs have always been a place where locals can experience a few rides, play some games, and maybe see a pie-eating contest or one large national act. Everyone looks forward to these, because they are a highlight of the summer, time for family togetherness, and opportunity to enjoy the weather. 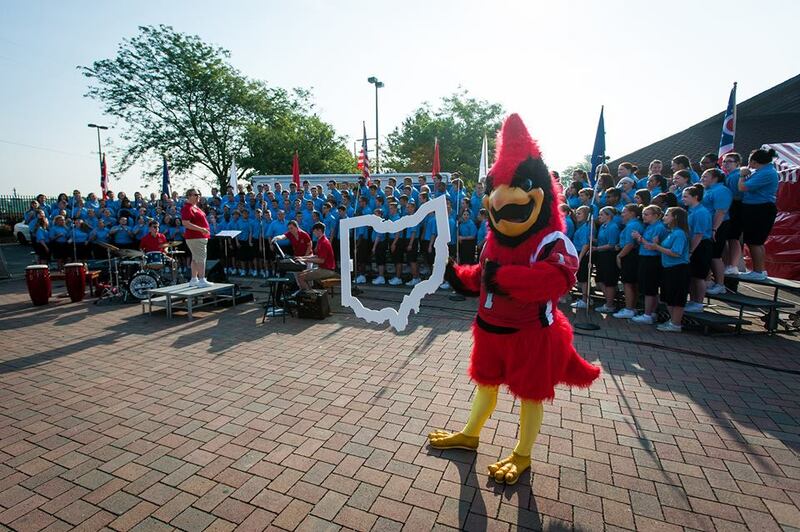 Here in Columbus, however, you can scratch that “anytown U.S.A.” vibe right off the board. 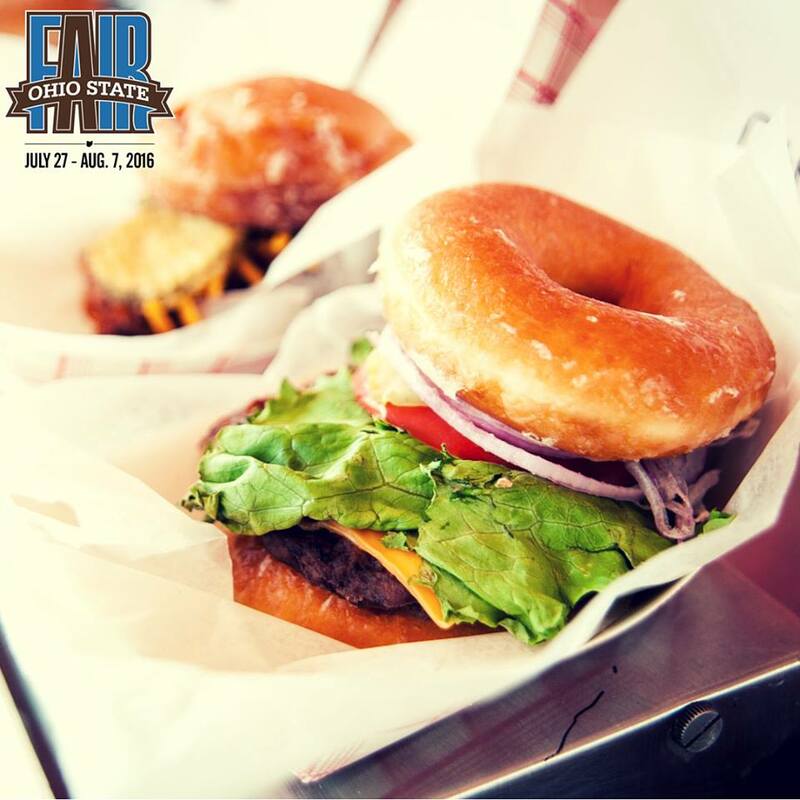 The Ohio state fair is a massive gathering of shopping, live music, tons of cool food vendors, and thousands of attendees that is one of the absolute biggest events of the year statewide. 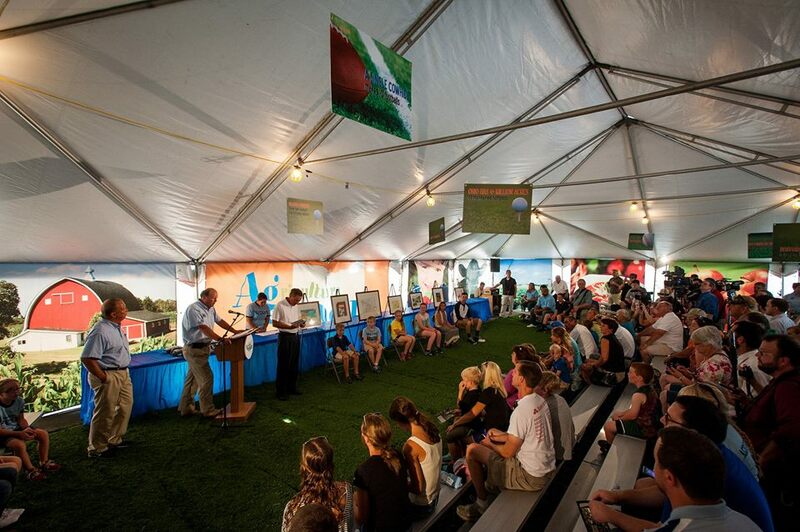 This year, the “Ag is Cool” interactive education stations allow you to be educated about how farming affects you every day, and you can milk a cow, see baby animals, and learn about what they eat. New for 2016, the Arctic Olympics High Dive Show will wow the audience from an 80' high diving board straight down into a pool at the south end of the Mountain Dew Midway. It tells the story of how several highly-talented penguins are training for Arctic Olympics, and they take a break for some massive fun. Don't forget about the model railroad exhibit: this year there is even a just-for-kids Thomas and Friends section for the little ones in your caravan to enjoy. There are other great attractions here like Jumbo Tic-Tac-Toe, the Monster Mural, and Natural Resources Park. Within the park, you can enjoy free fishing, kayaking, strolling through a butterfly garden, simulated watercraft, and walking through a beautiful tall grass prairie. 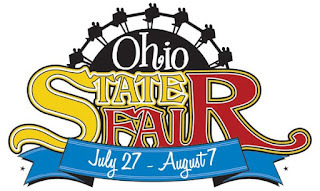 You can watch 3 different breeds of swine race around the track during the annual Pig Races put on by 99.7 The Blitz, and also be entertained by the Petting Zoo: it features more than 50 animals from around the world, and you can even find kangaroos and zebras inside! We all know how popular zombies have been lately: you can engage in combat with the horrifying invaders in this thrill-laden paintball course, just south of the T-Mobile Main Street Stage. The roving entertainment that you can find here is absolutely some of the best in the nation: Bill's Nautical Nonsense is a serenading fellow who floats around in a land yacht, and Buck Trout is a zany puppet that puts around in his Eco-conscious electric truck to bring attendees a chuckle. One of the most recognizable characters at the Ohio State Fair is Butters D Cow and his entourage: they have been one of the most frequently spotted figures of fun here for decades! Pogo Fred is one of the best pogo stick jumpers in the world, and a multiple Guinness World Record holder. Every day here you can also see “Rock It the Robot”: he stands at nine feet tall, and is a real-life version of something that you'd expect to see from the fun-loving cast of cartoons such as “Futurama”. 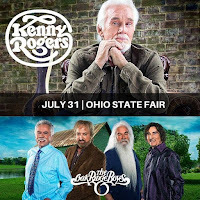 The concerts are what many attend for when it comes to state fairs, and this year's lineup is as far as it gets from flimsy! Classic rockers Yes are performing on July 27: they have been jamming for decades, and are purveyors of many well-known hits such as “Love will find a way”. Maddie and Tae are performing on July 30th with special guest Levi Hummon: they have concocted platinum hits such as “Girl in a country song”, and will be welcomed in Columbus with a fervor of fan base. 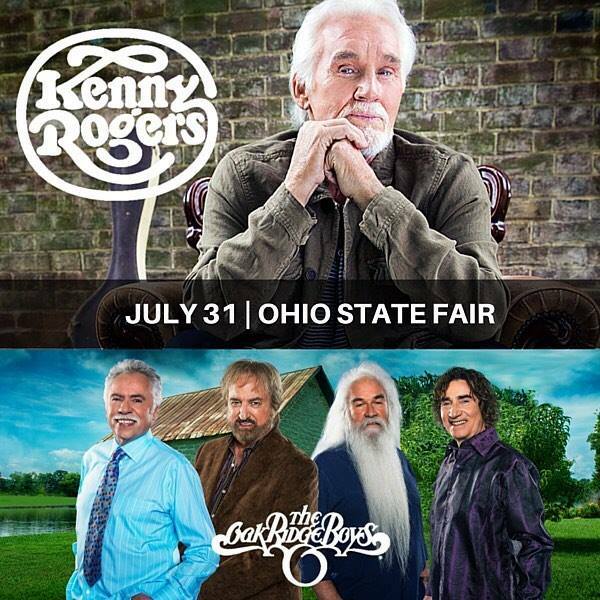 Kenny Rogers, “The Gambler” himself, is stopping here for the fair on his final world tour, and accompanying him are the world-famous Oak Ridge Boys. This is old-school country at its best, and will leave local fans begging for more. Steppenwolf, Foghat, Dolly Parton, Class act comedian Jeff Dunham, Keith Sweat, and That Mancini Magic are other awesome acts you can catch here this summer. 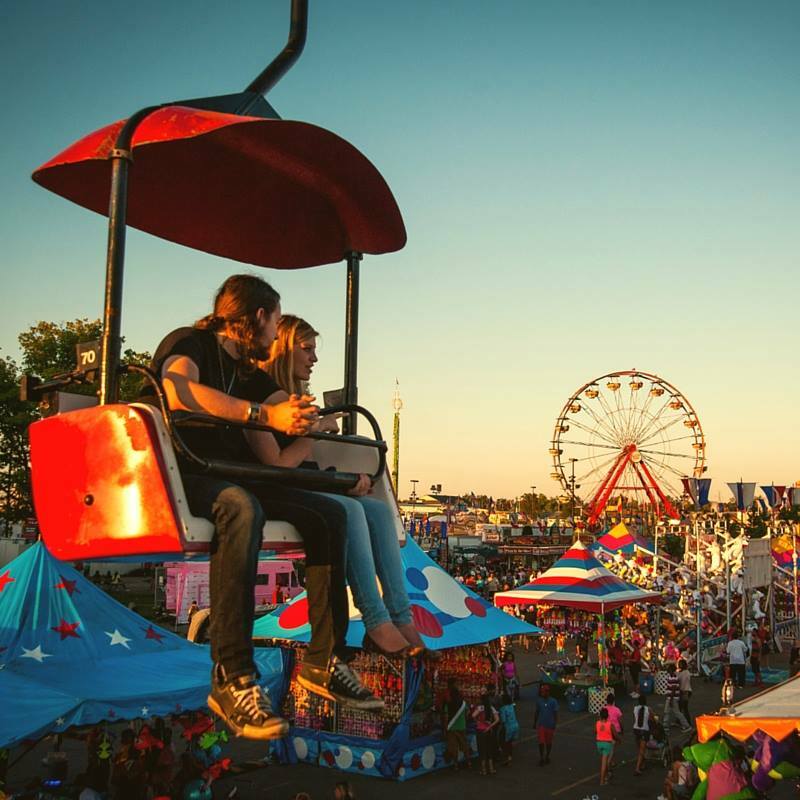 It is far from just corn dogs and funnel cakes at this year's fair: you can still find staples such as this from the vaults of what make fairs great, but the vendors and sponsors have been hard at work making this a spellbinding and amazing cultural event. 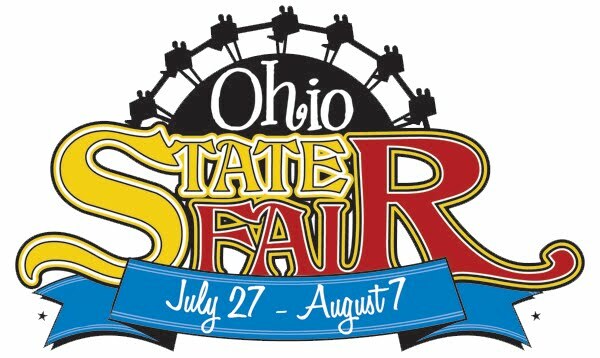 There is truly something for everyone at the Ohio State Fair, and it's one of those pinnacle events that you simply have to experience for yourself. All of the excitement kicks off soon, and we hope to see you there: The mammoth pull of the midway and array of luminescent lights at night will be simply unbeatable. The mammoth pull of the midway and array of luminescent lights at night will be simply unbeatable.